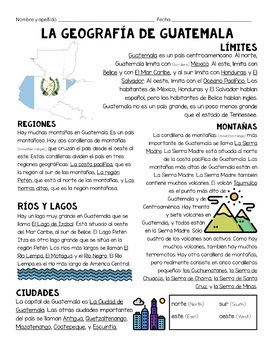 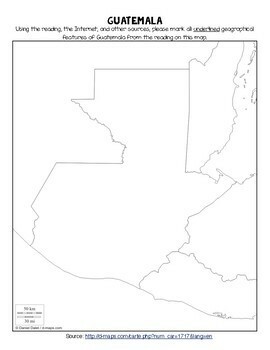 This worksheet includes a reading in Spanish about the geography of Guatemala (regions, borders, mountain ranges, bodies of water, major cities). 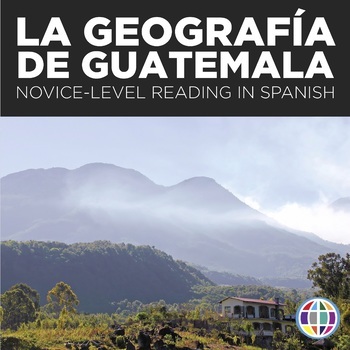 The reading is appropriate for late first year or second year students, and is accompanied by 10 comprehension questions and an activity with instructions to use the Internet to fill in a geographical map of Guatemala (blank map is included). 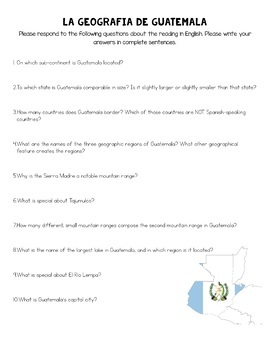 I used this activity as an introduction to the novel Esperanza, by Carol Gaab.